Slow Runner Reboot, Version 2.? Leave a Comment on Slow Runner Reboot, Version 2.? Mornings start early for Slow Runner frontman Michael Flynn these days. When we chatted last Saturday he’d been awake since 5:30, done a couple of laps around the yard, a trip to Chick Fil A, and had a fussy little girl at his side. Two years ago Slow Runner, primarily a duo made up of Michael Flynn and Josh Kaler, played 100 + shows across 41 states and 17 countries. Friday night at Charleston Music Hall marks the end of an era for Slow Runner, and the beginning of something new for both Flynn and Kaler. But still, it’s bittersweet. It was in Boston in late 1999 when Flynn met Kaler at Berkley School of Music. Minnesota native Josh Kaler was the president of a songwriters workshop that Flynn attended where he’d bring in new songs weekly, fine tuning a craft and a dream that they’d spend the next decade focused on. Boston might have been the better fit for Slow Runner, hell, anywhere other than the Southeast might have been a better fit for the guys that would eventually become Slow Runner, but the Holy City was where their connections were, and it’s where Flynn had studied English at College of Charleston. The city was still hot with bands like Jump Little Children, and a young Cary Ann Hearst, all of whom would become a tight-knit group, working together, touring, and sharing members and recording projects. Don’t downplay their success as a band. Slow Runner became official in 2003, and in 2005 signed a deal with J Records with their album No Disassemble. That deal didn’t go as they might have hoped, but the following years saw them playing shows with bands like The Damnwells, Josh Ritter, The Avett Brothers, Built to Spill, Say Anything, and having music featured on Grey’s Anatomy and One Tree Hill. They recorded three more exceptional albums post No Disassemble, including their most recent full length Damage Points, which they took around the world opening for William Fitzsimmons, even playing as his backing band. 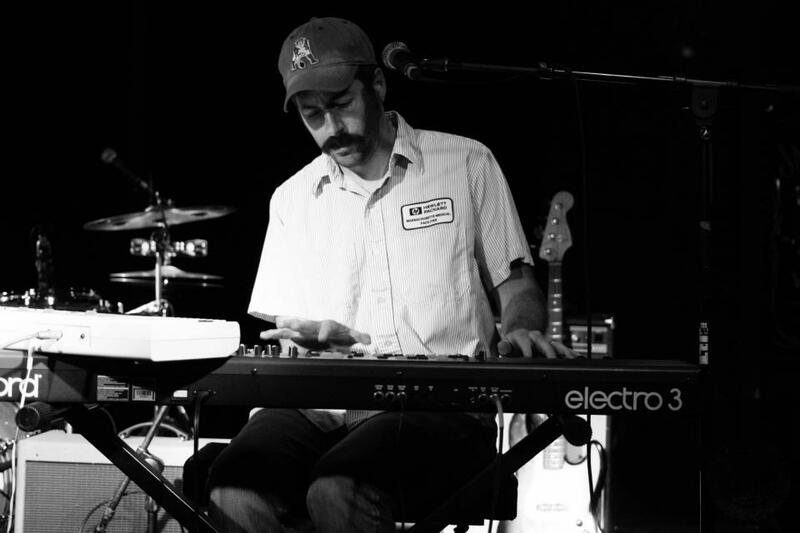 Fitzsimmons recorded his newest album in Charleston at Hello Telescope studio where it was produced by Kaler and Jump Little Children frontman Jay Clifford. Maybe they didn’t catch the wave to don’t-have-to-worry-about-a-paycheck success like other bands have, but the music they’ve released and the attention they’ve earned has all been much deserved. Still, not catching that wave does take its toll. These days the waves are crashing in for Flynn as he’s working on his first solo record. For him it’s much different than writing for Slow Runner, where he plans space for other instruments and members. Now he’s in total control and it’s something fresh for the first time in a while. The idea of a solo record for Flynn was weird at first, even depressing. It’s just different. He describes the new music as more electronic, but not “video gamey” like some of the music on Damage Points. At this time last year Slow Runner was emptying their musical closet, with a soft re-release of their very first album No Disassemble and a series of singles that turned out to be some of their best material to date, but were all songs that didn’t exactly fit on any of their albums. At the time they weren’t planning on taking a break, but felt like they needed to release new music, it had been a year and a half since Damage Points was released. Having a family and the unexpected things that go along had swallowed Flynn whole, and Kaler was focused on other projects. Songwriting and Slow Runner weren’t Flynn’s focus anymore, and the following year would reveal to both of them that some sort of change was needed. So on Friday September 27, 2013 Slow Runner will take the stage at Charleston Music Hall for the farewell to an era of Slow Runner. They are going to play one song they’ve never played live before, and at times have up to 9 musicians on stage. Rehearsals for the show have been “surreal” and fun for everyone involved. While the singular focus of Slow Runner is changing, both members are ready to close this chapter and start a new one. One of the most touching parts of our interview came while we were talking about the success Shovels and Rope has seen since emerging on the national radar about 2 years ago. This year they’ve exceeded everyone’s expectations with an appearance on the Tonight Show with Jay Leno and by winning emerging artist of the year and song of the year at the Americana Music Awards. The future is still very bright for two guys like Michael Flynn and Josh Kaler. Slow Runner play Charleston Music Hall Friday September 27 with Brave Baby.